S. Frances Gritte was born in North Adams, MA. 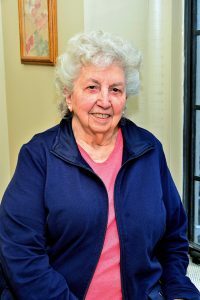 Her father moved the family to Staten Island, NY and she attended Our Lady of Good Counsel School, which is where she first met the Sisters of Charity – Halifax. Not long afterward, her father was offered a job in Aruba, a Caribbean island that supplied aviation fuel during the war. “People came to Aruba from all over the world. There was an English family beside us, a Spanish family across the street and Danes living in front of us. You got used to interacting with a lot of people from diff erent backgrounds,” she says. In 1942, a German U-boat shelled the Aruba refinery. The shells hit anchored tankers loaded with crude oil outside the reef. “From our porch we could see crew members diving under the burning oil in an eff ort to reach safety on the reef. If the shells had hit the tanks filled with aviation fuel, the island would’ve been blown off the face of the map,” she says. After that, women and children were evacuated. S. Frances went from Aruba to Venezuela, to Texas and finally to Boston. “We settled with a distant relative in Wellesley Hills, MA,” she says. 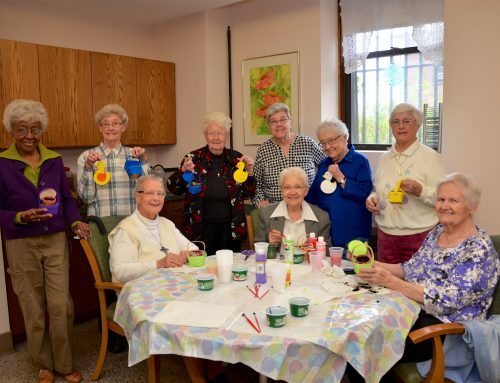 It was there that she crossed paths again with the Sisters of Charity – Halifax. “When they got the all-clear, my mother and sister went back to Aruba and I stayed in Wellesley Hills, at the Academy of the Assumption. My father registered me for college in Florida, but I said I had other plans. And so I landed in Halifax with the same Sisters I’d known in Staten Island. 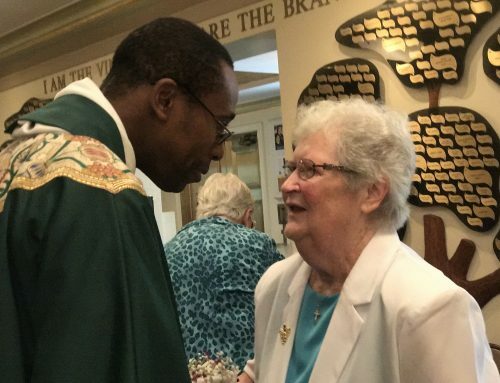 Doesn’t God write straight with crooked lines?” S. Frances entered the Congregation in 1944 and made her first vows in 1947. 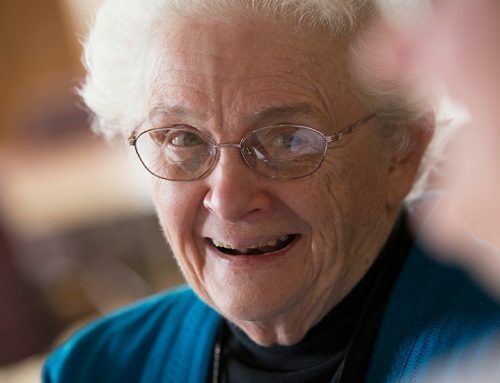 She celebrates her 70th anniversary as a Sister this year. 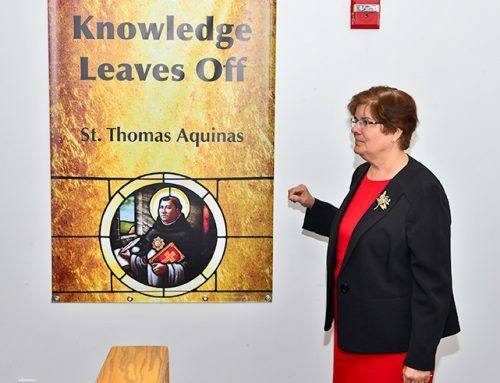 Her first mission was at Our Lady of Angels School in Brooklyn, NY, and then went to Saint Stephen’s School in Halifax, NS, where she taught junior high. Some of those students still keep in contact. Spanish to freshman girls. She eventually became principal. 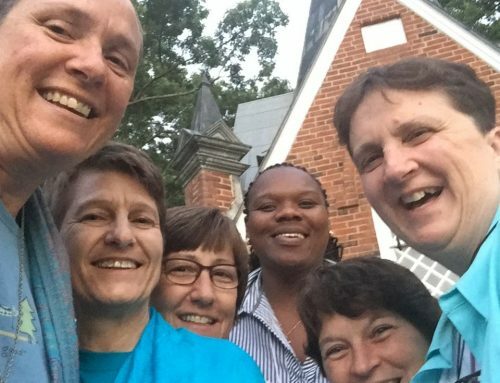 “I loved teaching, but I found that administration was not for me,” she says. So after three years as principal, S. Frances asked to be missioned to Peru. Once in Chiclayo, she lived in a large coastal settlement with people who had largely migrated from the mountains. “When people migrate, you have people with some initiative because they have left behind everything they knew,” she says. “We built chapels with considerable financial support from the Halifax Archdiocese. To raise money, we’d have dances on Sunday afternoons – net profit $5 US!” S. Frances was in Peru for almost five years and it was there that she learned some rudiments of community organizing. 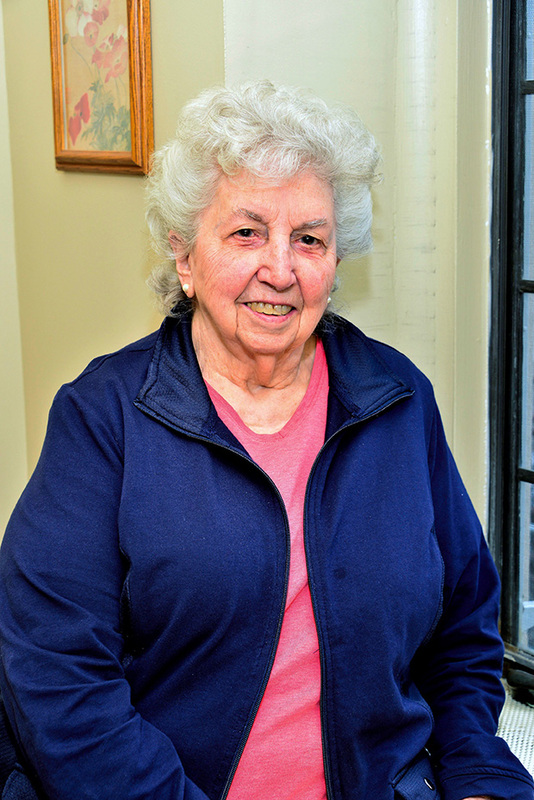 She went on to work with Hispanic immigrants in parishes in Brooklyn, NY and spent 11 years in Glen Cove, Long Island, working to build community among immigrants from 16 Spanish-speaking countries. She also served as the Congregational representative with ICCR (Interfaith Center for Corporate Responsibility), an organization which monitors investments and corporate behavior around social justice issues.